When it comes to yummy body and beauty products we are spoiled for choice. Bespoke Bathrooms’ favourite brands are all proudly South African, kind to the environment and socially conscious businesses. There is no excuse not to pamper oneself in the bathroom! First up is Lula & Marula whose approach is one of simplicity – they have a small range – focussing on high quality all-natural ingredients. In the company’s own words: “All of our products are free from chemicals, fillers, perfumes, preservatives and emulsifiers – basically all the nasty stuff that isn’t natural or beneficial to your skin. Which means you get more of the good stuff and none of the bad stuff.” Products are made in small patches to ensure quality and ingredients are sourced locally. 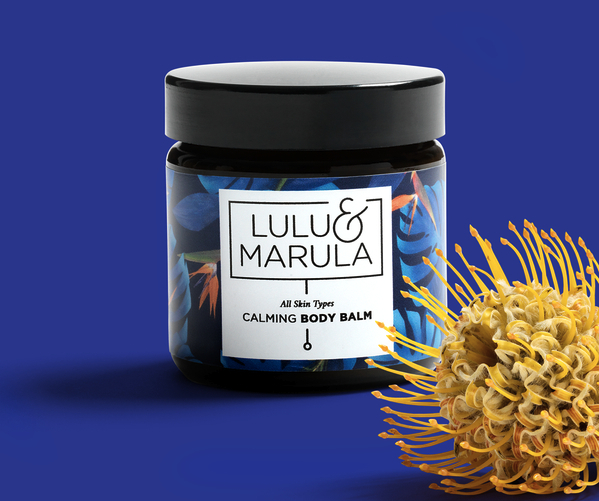 Lula & Marula’s calming body balm moisturises the skin with a mix of natural plant oils that leave you feeling fabulously relaxed. The blend of floral ingredients like neroli, geranium and ylang ylang boosts cell activity to ease stretch marks, broken capillaries and uneven skin tone. Marula, moringa and shea butter gives your skin a dose of antioxidants to soften, calm and protect. 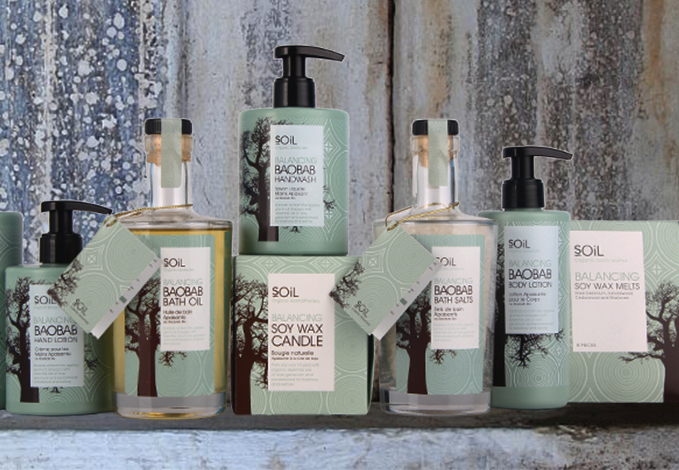 Soil’s body care products were the first certified organic range in South Africa and were developed from the company’s organic essential oil farming operation. The farm’s isolation from industrial centres means it has some of the cleanest air and water in South Africa, further enhancing the quality of its products. Soil is actively involved in projects to uplift impoverished communities – SOil grows its own seedlings for aromatic botanicals which are planted into fields by hand – just the kind of labour intensive agriculture needed in areas of high unemployment. Soil’s Balancing Baobab Organic Bath Oil – Sit back and let this luxurious bath oil moisturise and nourish the skin. Enriched with Baobab oil to improve the skin’s elasticity and radiance, and essential oils of Rose Geranium and Sandalwood balance and restore the senses. Organic olive oil is the main ingredient found in all of Oh-lief’s range of body products which is made from 100% natural and organic raw ingredients, sourced locally. As the weather hots up and we start spending more time outdoors an insect repellent to keep mosquitoes at bay becomes essential. 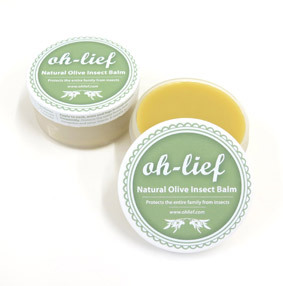 Not only is Oh-lief Natural Olive Insect Balm for adults but its gentle formulation is ideal for babys and young children. Certified organic cold-pressed Extra Virgin Olive Oil, certified organic cold-pressed avocado oil, beeswax, and certified organic lemongrass and citronella oil are all sourced locally and keep the insects away, naturally! Underpinning Esse’s approach is the view that the skin should be understood as an ecosystem. Human cells and microbes co-exist with both contributing to optimum skin health. Skin can often have an even greater microbial diversity than the gut. Optimal skin condition depends on the probiotic microbes living on and in it. Without microbes our skin can’t perform its basic functions and the rate of skin ageing increases sharply. Esse products create an environment on the skin that favours the growth of beneficial microbes using a number of indigenous, sustainably harvested, wild plants. 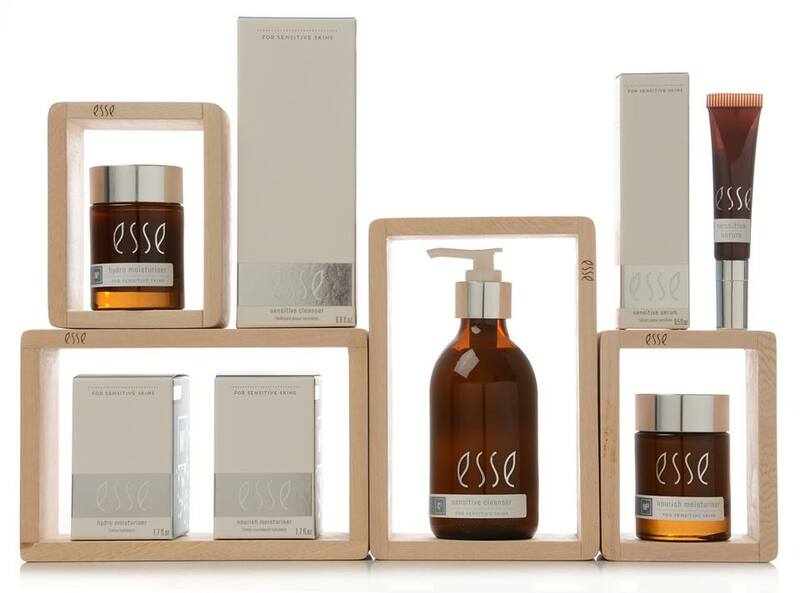 Esse is certified organic, vegan and cruelty free. Africology offers a luxury, natural and eco-friendly skincare range, fragranced only with pure essential oils. From humble beginnings at the kitchen table of its founder, Africology has over the past 15 years grown beyond South Africa to Australia, the UK and the USA. 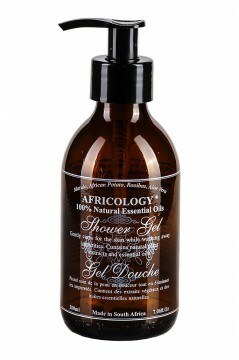 Africology’s shower gel is a fantastic alternative to chemical-based body washes, it contains yucca to increase cell growth and soothe irritation. Extracts of gentle soapwort cleanse without stripping the skin of its natural oils. Aloe Ferox soothes and moisturises the skin, leaving it smooth and soft. Recommended for all skins, and for infants older than 2 months.